Jet.com, an e-commerce subsidiary of Walmart, announced on Tuesday that it is building a fulfillment center in the Bronx this fall. It will work with Parcel, a last-mile delivery service that Walmart purchased in 2017, to provide same- and next-day delivery of fresh grocery items and other goods. Walmart is linking its acquired startups together as the retail giant's plans to finally invade New York City are becoming more clear. With not a single Walmart store within city limits, the United States' largest retailer hasn't been much of a player in the country's largest city. But that could change very soon as Walmart leverages its Jet.com e-commerce brand — headquartered across the Hudson River in Hoboken, New Jersey — to take over the Big Apple. 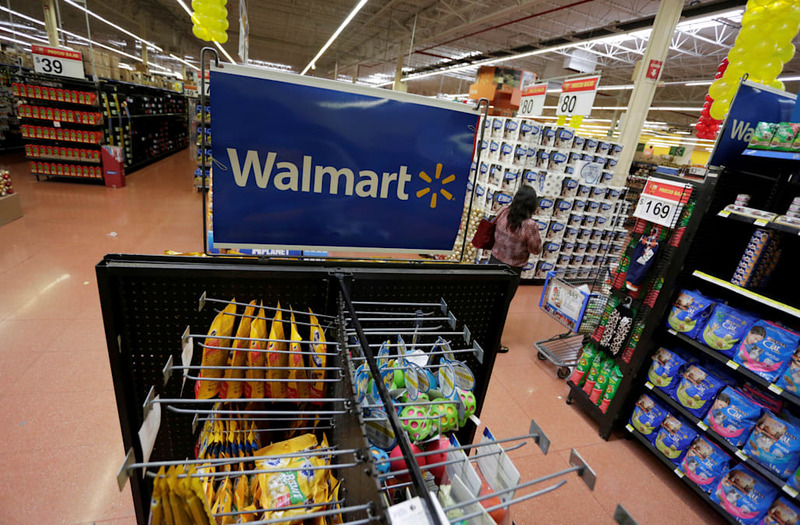 Walmart is now building a fulfillment facility for Jet in the Bronx. Opening this fall, the facility will be designed to deliver fresh grocery items, consumable goods like toothpaste and paper towels, and some other merchandise to New York City addresses, either the same day as ordering or the next. The plan is for the warehouse to stock only items sold on Jet. Did you see a coupon from a competitor instead of Publix? Bring that coupon with you! Publix posts a list of competitors at each store, allowing you to bring in a coupon you saw elsewhere and get that same deal right at Publix. Speaking of coupons, Wegmans offers a stellar deal with their double coupon policy. If you saw a coupon from a manufacturer that was less than $0.99 in value, Wegmans will not only give you that coupon but will also reward you with another $0.99 off. If the price is above $1, they will still give you the coupon’s face-value deal. Don't miss these 19 shopping tricks all frugal shoppers use. Hated the recent flavor of Joe Joes? Just return them! That’s right, even after trying something, you can actually return it if you found it unbearable. Trader Joe’s will happily take it back and give you a refund. Do you get coupons for H-E-B? If not, well, you should. H-E-B offers a coupon deal called Combos Locos where, when buying two items together, you get discounted prices. For example, a deal could include a bag of salad with a free bottle of dressing! Keep an eye out for deals on their website. Here are more sneaky ways to find great deals online. Nope, these bargain bins actually aren’t a rip off (like some bargain bins turn out to be). You are going to want to take advantage of the incredible deals at Aldi’s bargain bin because the low prices will actually knock your socks off. Buy-one-get-one deals, or even buy-two-get-three deals, are always a draw for people trying to buy bulk at a grocery store, But what make’s Harris Teeter special is the secret behind those deals. Instead of offering one item full price and another completely free, the items just ring up as half off. So if you only need one pound of meat and don’t have room in your freezer for another, that meat will still ring up as 50 percent off! Plus, try making these healthy food swaps that can actually save you money. Loved the fuel saver program through Hy-Vee? Well, their new-and-improved program is going to have you jumping out of your seat. With this new membership, you can save big using digital deals and coupons target specifically for your shopping list, receive surprise savings, and even get the chance to win rewards! Some of those include kitchen makeovers, vacation packages and even a new car. That’s right—the back of the store is where you’re going to find all of the deals. By working your way forward, you are finding the best bang for your buck. Make sure to walk through “center court” (the savings aisles in the center of the store) and to avoid the front at all costs. The front is known as “action alley” and will rarely give you the type of deals that you crave. Check out these money-saving things you can do at Costco without a membership. Not only are WinCo deals even cheaper than Walmart most of the time, they also offer incredible employee benefits. Like being a part-owner of the store, for example. If you work at WinCo for over 500 hours in the first six months and 1,000 hours in a year, you are eligible for the Employee Stock Ownership program. They also offer incredible benefits including retirement savings and insurance. Whole Foods may sit more on the expensive side, but their app can actually help you save those dollar bills. It’s completely free and loaded with coupons and current deals, giving you a leg up on what to grab in the grocery store. Because Fry’s is a Kroger brand, these two offer the same incredible deal every week—free item Fridays! Find out what you can get for free by downloading the coupon the day before heading to the grocery store. Every week Winn Dixie offers meal deals where they hand you not one, not two, but three items for free. The meal deal typically comes with a specifically chosen entree. Once you get the entree, you can get the chosen sides (typically a carbohydrate, a vegetable, and a dessert) for free. You may not realize it, but most department stores work off a markdown schedule in certain departments each day of the week. Although every store is different, shopping at Target’s Market (the grocery part of the store) is best for savings on Tuesday. However, there is no harm in asking a sales associate when your local Target’s specific markdown schedule is. Here are more sneaky ways to save money at Target. If you still love to get coupons mailed to your home, then you better be digging for those ShopRite super coupons. These coupons will offer you deals you probably couldn’t even dream about and will make your wallet sing songs of praise. You can also check out a lot of their other coupon deals online at their Digital Coupon Center. After signing up for the MVP Program at Food Lion, you’ll want to take advantage of their kiosk ASAP. Simply scan your MVP card when you’re in the store to see what deals are going on for that day, and even a set of personalized coupons based on your recent purchases. But be on the lookout for these 32 retail scams that trick you into spending more. Just like their Everyday Low Prices and Club Card Savings, Albertsons offers deals on their healthy products by using their SimpleNutrition tags. So instead of ignoring those healthier foods because of the prices, scout Albertsons for these tags to save big and eat healthily. Every now and then, Meijer will post codes on their Facebook and Twitter for mPerk members to get free items. They offer all sorts of items for free, and if you follow them on social media, you’ll always come across some incredible deals. Make sure you memorize the best times to buy cheap finds throughout the year. That’s right—they just hand it to you! For every $500 you spend, you get $10 back. That may not seem like a lot, but if you’re a faithful Sam’s Club shopper, that can seriously add up as the year progresses. Don't miss these other surprisingly simple ways to save big at the supermarket. If you have a Stop & Shop card (or a Giant card, since they are owned by the same company) you can actually earn cash back when using some of the offers. Just click the offers you want to use on the app. Saw a cheaper price somewhere else? Bring those ads with you to Walmart! You can get the cheaper deal by showing the associate that pricing, who can then walk you through a process to get that same deal right at the store. Wherever you shop, just make sure you avoid these 50 supermarket tricks you still fall for. Walmart purchased Jet for $3.3 billion in 2016, turning its focus to the millennial urban consumer who hasn't historically been reachable by Walmart. Jet will use another Walmart subsidiary, Parcel, to deliver goods from the new warehouse. Parcel is a last-mile delivery service that Walmart purchased in 2017 for an undisclosed amount. The acquisition of Parcel signaled a desire to boost the retailer's same-day delivery ability so that Walmart could better compete with other same-day delivery services, like Amazon's Prime Now. Parcel also has New York-centric consumer data that Walmart can make use of, including a database with information on the buildings the company has delivered to, according to Recode. The so-called "last-mile problem" — figuring out how to deliver to customers who have neither front porches nor doormen — is one of the biggest problems that online retailers face in getting items into customers' hands, especially in a big city like New York. Parcel's delivery vans have the words "No doorman? No problem" emblazoned on the side in big letters. In 2017, Jet also announced a partnership with Latch, another New York-based startup that offers keyless entry for delivery personnel to leave packages inside apartment buildings without doormen. In a post on Walmart's press blog in 2017, Nate Faust, a senior vice president at Walmart, called New York the "top market" for both Jet.com and Walmart.com. New York real estate is expensive, and much of the city does not regularly interact with the Walmart brand, making the e-commerce route a more viable option. At the same time, same-day delivery is increasingly seen as the next iteration of e-commerce, in the same way that two-day shipping has become the standard. Amazon has also been investing in same-day delivery with its Prime Now service. More possible evidence that Walmart is taking New York online shopping seriously: the company' e-commerce CEO and founder of Jet, Marc Lore recently purchased a large penthouse in Manhattan, according to the Wall Street Journal.